Nothing compares to the functionality, durability and affordability of wire fencing. It is quick to install, keeps what you want in and what you don’t want out and it is perfect for the tough, constantly changing environment we’re in. 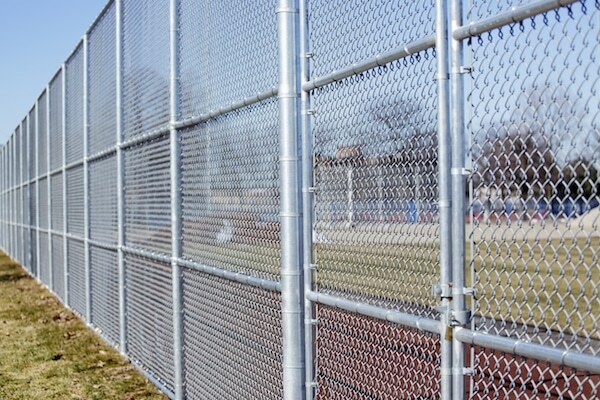 If you’re thinking about installing chain wire fencing on your property you can’t go past Everlast Services. We can install a woven wire fence to suit your property and we can do it at unbeatable prices. We’ll take your particular needs into account to ensure you’re left with a wire fence that suits your needs and lasts forever. We have our own steel fabrication plant meaning we can fabricate panels, pickets and posts to suit your exact needs. Whether your fence needs to be 3 metres high or just 3 metres long, Everlast Services should be number one on your call list. We’ve been fencing for over 20-years and there’s never been a problem that we can’t solve or property that we haven’t been able to fence. We provide fencing services to domestic, commercial and residential properties. We have a state-of-the-art steel fabrication plant in Hoppers Crossing in Melbourne, where we manufacture all of our steel products. This allows us to maintain strict quality standards and it also allows us to cut out the middleman and keep prices down. We always pass these savings onto you. We love looking after the local community and we do this by sourcing products from local suppliers so that our customers money goes back into the community that has given us so much. With over 20-years experienced and a skilled team of tradesmen your fencing project couldn’t be in better hands. We’ll take care of everything and we promise that you’ll be satisfied with our work and blown away by the passion of our team. On top of our wire fencing service we offer a comprehensive set of fencing and gate services as well as providing supplies for those that prefer the DIY-route. We’re always on hand if you need any advice about your project.